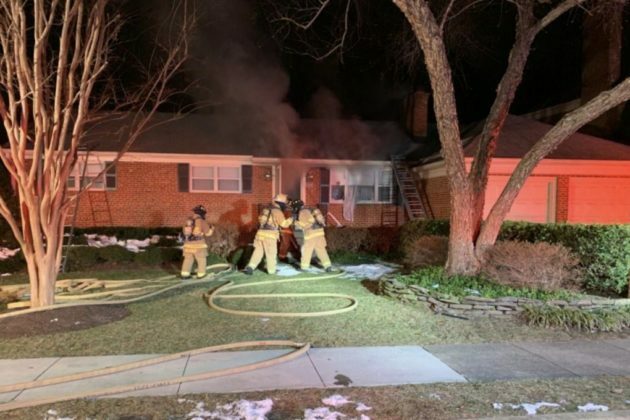 (Updated at 9 p.m.) Arlington County firefighters are on the scene of a house fire on Little Falls Road in North Arlington. 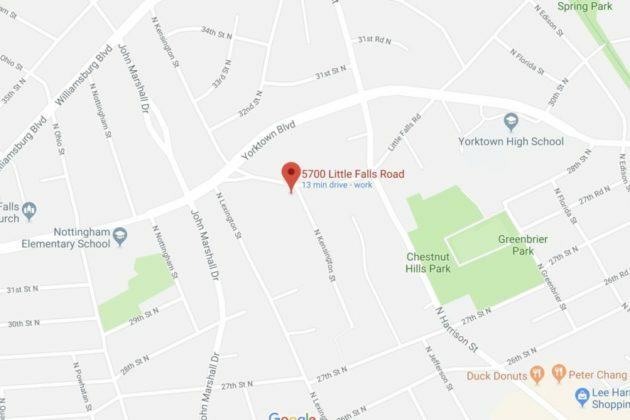 The fire was reported around 7 p.m. in the basement of a home on the 5700 block of Little Falls Road, roughly between Nottingham Elementary and Yorktown High School. A second contingent of fire department units was quickly dispatched to the scene to help with the firefighting effort. A partial floor collapse was reported inside the home, though no injuries have been reported. No one was inside the home when the fire broke out, according to ACFD.